In May 2012, the Samuel P. Hunt Foundation awarded Trail’s Department a $7,500 challenge grant that required AMC to secure matching monies of $7,500 to relocate a portion of the Old Bridle Path that had been severely damaged by Hurricane Irene. 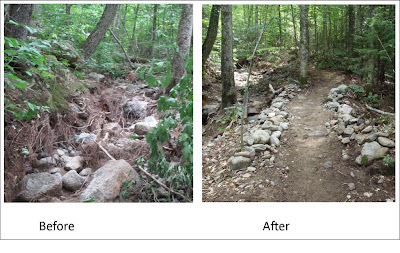 We were pleased to receive $2,500 from each of the following groups: our Worcester Chapter, NH Chapter, and 4000 Footer Committee. 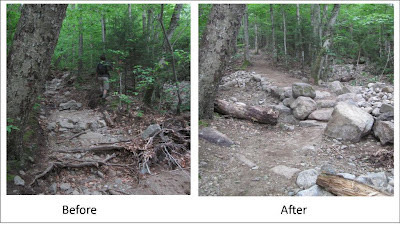 Their quick response to the challenge enabled us to complete the relocation in July in time for thousands of summer hikers to use the Trail.